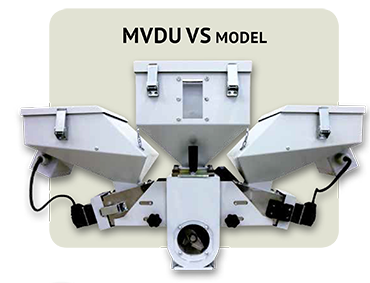 COMERCIAL MARSE volumetric dosing units MVDU VS have capacity range from 0,07 to 60 kg/h. 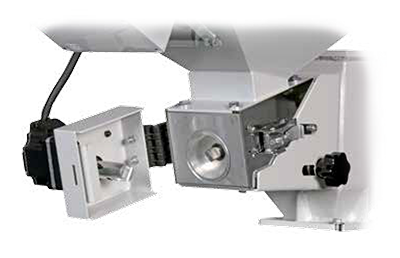 Automatic microprocessor control allows to evaluate the metering screw rotation speed and dosing cycle time once dosing percentage and shot weight, in injection, or total troughtput, in extrusion, have been set. Stainless steel components in direct contact with the material. Quick discharge gate for cleaning and colour changing. Hopper prepared to install loader MA-2. Lack of material alarm, mixer, central hopper.